Life expectancy at birth in Slovenia is gradually getting longer, for both men and women. Life expectancy at birth for women is slightly longer than it is for men. It is noted the increase in life expectancy at birth in western Slovenia. 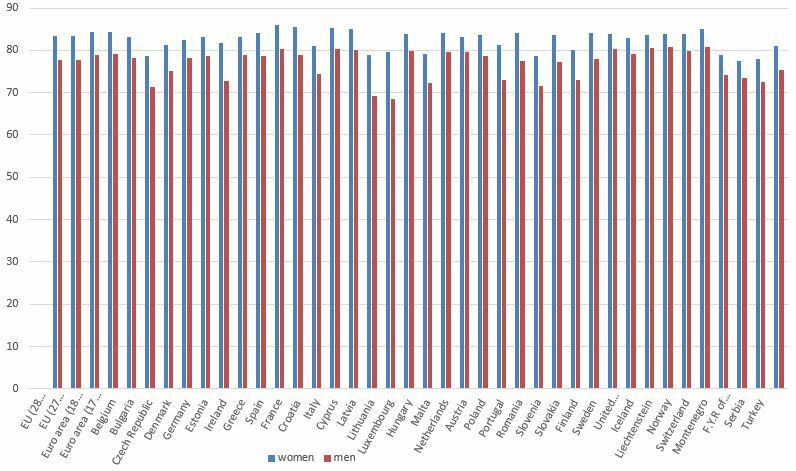 Life expectancy at birth for women in Slovenia is 83.6 years for men and 77.2 years.